My Passion For Decor: A Quick Update and a House Tour! 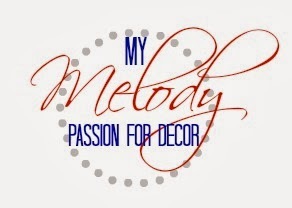 Melody, I don't do facebook, but it is only recently that I have found your blog and I like it very much. I am so sorry that you have to move from this lovely home - although I am sure you will make the next one as wonderful, but 6 months is heartbreaking, isn't it. Good luck with the sale, good luck with the move. Looking forward to seeing more of your work, which I like, a lot!